Congratulations to Our 2013 Super Lawyers! Most people don't expect to be seriously injured in an accident, so it's understandable that they may not be sure how to choose an injury attorney. All they know is that they want one who is experienced, trustworthy, and good at what they do. 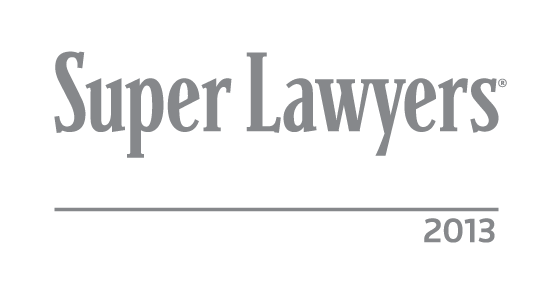 One way you can choose an attorney is to look at his or her honors – specifically those who have been named to the list of Pennsylvania Super Lawyers. Attorneys who make this prestigious list are considered to be in the top 5% of lawyers in the state. What's even more impressive about attorneys who make the list is that they are nominated by other Pennsylvania attorneys. These attorneys deserve a lot of credit, because their first priority is to help their clients take back their lives. Awards like these are simply a way to honor them for their hard work. Congratulations!